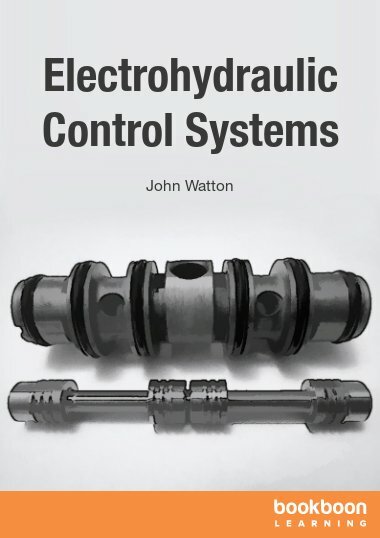 The author has taken a broad approach to the study of fluid power control, covering a period of almost forty years. He started his career in industry working on heat exchangers and then obtained BSc and PhD degrees in Mechanical Engineering. He returned to industry as a systems engineer working on the automated electrohydraulic steering control of mobile light-guided vehicles. His fluid power interests were consolidated at Cardiff University where he set up a new fluid power laboratory and developed new courses in fluid power and condition monitoring which he taught together with control theory, fluid mechanics and dynamics. He has published over 170 papers and 4 books on fluid power and has supervised many MSc and PhD students. He was awarded the degree of DSc for his contributions to fluid power and became Professor of Fluid Power. Industrial work has included the co-design of other novel mobile machines for agricultural and civil engineering applications, and moving into commercial operation. He has originated and managed some major projects in the steel processing industry with some moving to plant on-line implementation. Projects have varied from continuous casting, bar and strip rolling through high speed mills, strip quality/coiling and no-twist mill wire production. Savings due to improved production have run into many millions of pounds. He has also undertaken a variety of consultancy projects for the fluid power industry, varying from component analysis and design to hydraulic control strategies for high-power forging presses. He has also been active as an Expert Witness on fluid power issues varying from system failures to patent litigation. He was awarded the Institution of Mechanical Engineers Bramah Medal and received an honour from the Japan Fluid Power Society. He is a Chartered Engineer, a Fellow of the Institution of Mechanical Engineers and a Fellow of the Royal Academy of Engineering. He is now retired from Cardiff University, taking the title of Emeritus Professor, but has since undertaken further book writing together with consultancy projects for industry.